Simple Triangle Series. 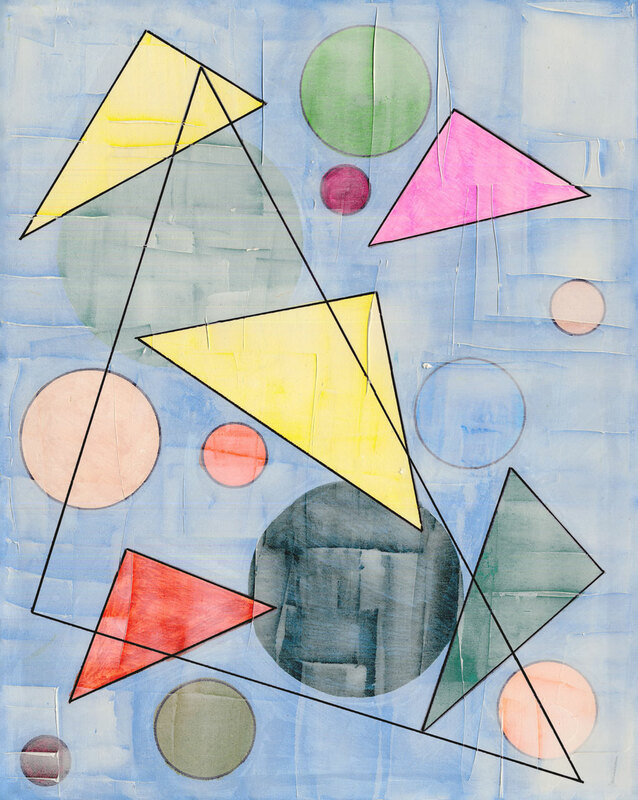 Large Triangle Outline with Pastel Triangles and Circles. Blue acrylic paint and spackle paste in patterned background with simple triangles in markers and light spackle wash.